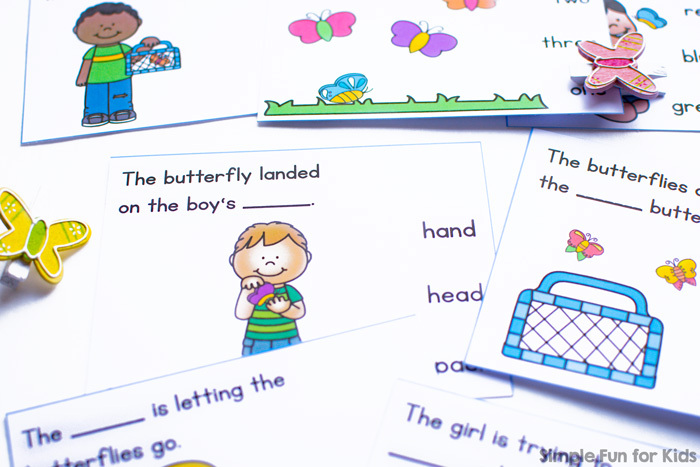 ​Clip cards are awesome for all kinds of learning objectives! N figured out how to use clothespins easily around 2.5 years old (although I didn’t even offer clip cards to him at the time), and E still likes the action of opening and closing clothespins at 6.5 years old. The printable consists of two pages with four clip cards on each page. 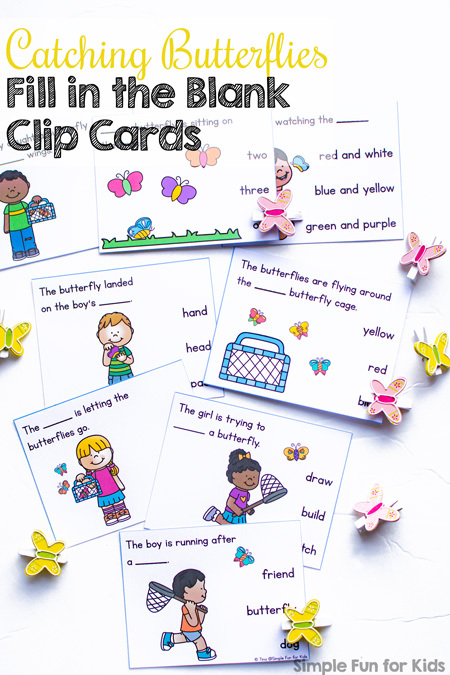 Each clip card features a cute colorful image and a sentence with a missing word that matches the image. On the side, there are three words that could fit into the blank. The objective is to mark the correct word to fill in the blank with a clothespin. Print out either one or both pages, laminate them for better durability, and cut the clip cards apart at the blue lines. To make preparation even faster and easier, you could leave the pages intact and use markers or manipulatives to mark the correct words. 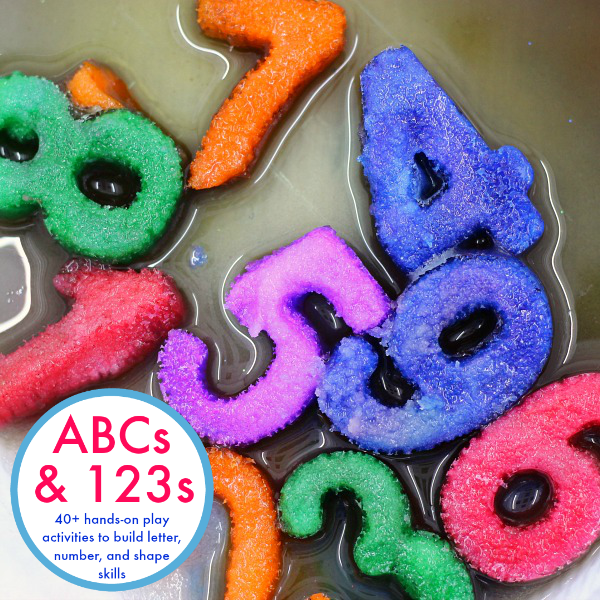 Are you looking for more kindergarten literacy activities? I’ve picked some out for you!